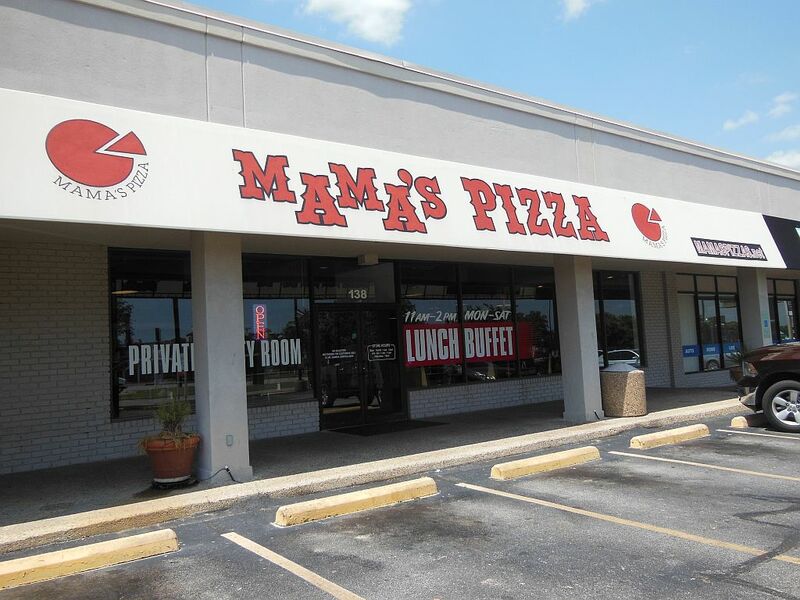 Mama’s Pizza—The Best in Fort Worth? No Way! 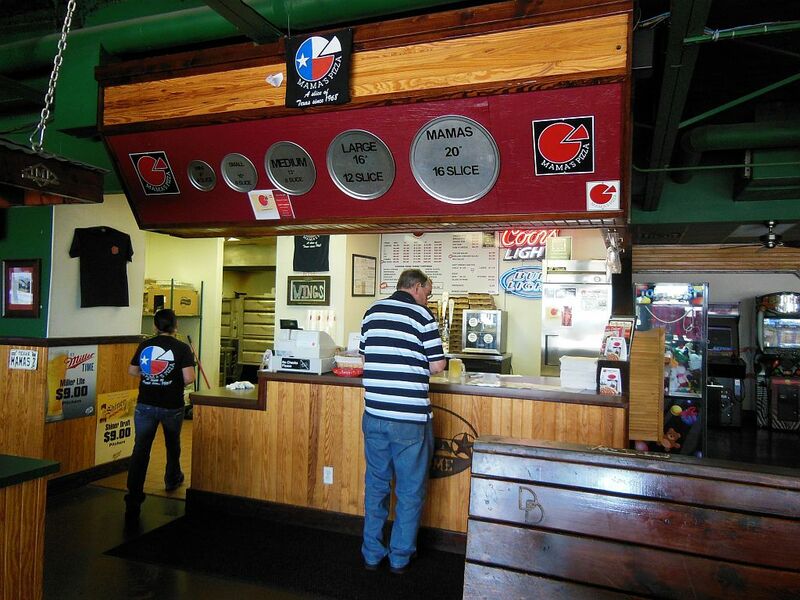 Mrs. Pie first told me about Fort Worth’s Mama’s Pizza back in the 80’s when we lived in the Lone Star State. She reminisced about loving their Hamburger Pizza in her high school days. That was a time when I didn’t trust eating any pizza in a Zip Code that didn’t start with a zero. 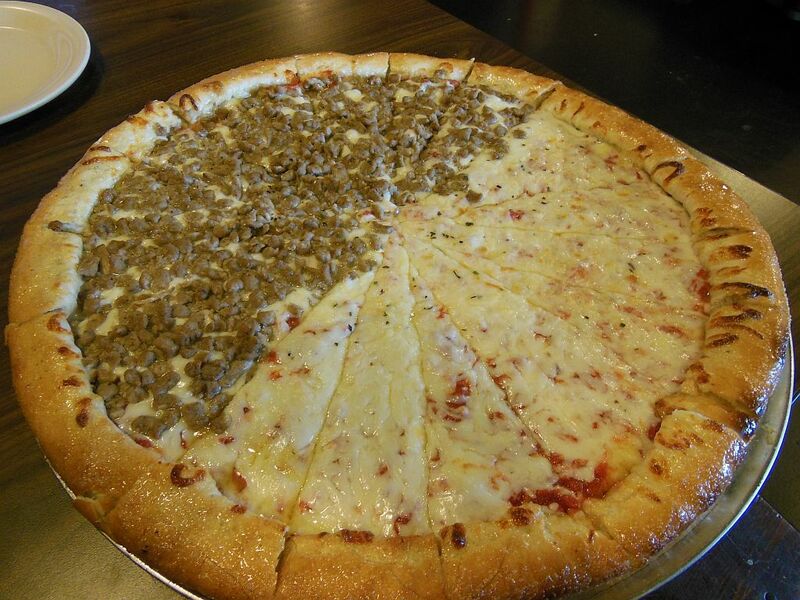 And, as most of us already know, hamburger just doesn’t belong on a pizza. So, in all those years I never visited Mama’s. 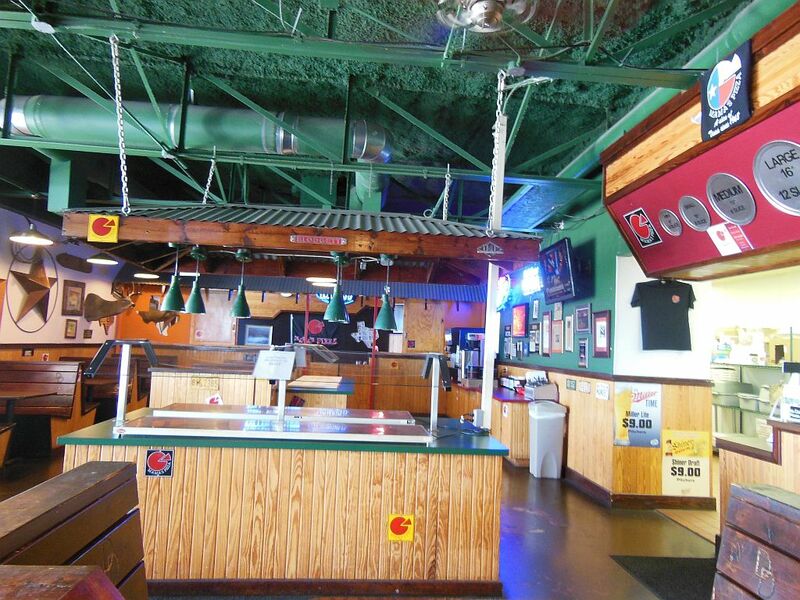 On my last trip to Texas I tried this place after discovering it had received many accolades as Best Pizza in Fort Worth. It’s an order at the counter place, and we summoned up a large 20-inch pie which set us back about twenty bucks. Advertised to have 16 slices, they turned out to be half-slices by classic standards. Taking my suggestion passed down from his daughter, Bud put in a request for half-hamburger. I started out with a rather disappointing salad covered with chicken that tasted like yucky deli meat. The pie arrived rather quickly and at first glance was a total disaster. It looked like nothing more than a slimy, greasy blob of strange white-looking cheese (where was the tomato sauce?) sitting on a bed of puffy dough. The oversized end crust carried a sheen that made it look like a pretzel. On the bottom there were greasy grill marks more akin to a Mexican quesadilla than a pizza. As expected, this over-cheesed and over-doughed mess didn’t taste any better than it looked. It was a dismal excuse for pizza—undercooked, soggy and floppy. The slices could not even be picked up to eat. The cheese was unusual and tasteless to say the least. Bud even said the hamburger tasted like it came out of a box. Finding little redeeming value in our pie, we wound up leaving more than we ate. Our adventure just goes to show that you need to be careful what people who haven’t tasted real pizza consider to be the best. Later hearing of our ordeal, Ms. Pie said that it was better back in the day. As for the best pizza in Cowtown–I’d rather take a mediocre slice at one of the countless Joe’s joints or go upscale at Campisi’s any day. On the drive home, we wondered why we even were bringing home our leftover slices. To add insult to injury, I later got a traffic ticket in the mail when a camera caught me running a “yellow” light on Camp Bowie. The Pizza Snob has had better days than this one.